Exciting news everybody! One of the world’s most acclaimed fashion designers has turned her creative hand to kids’ fashion. Currently expecting her fourth child, Stella McCartney has evidently had no time to rest up as she expands her brand to include baby and kids’ wear for those aged zero to twelve. I am absolutely loving what I see here for boys, in particular with that adorable military-style jacket layered with grey jumper and blue slim-fit jeans. For girls there doesn’t appear to be any frou-frou in sight, just cool, elegantly-structured yet comfy threads. Babies are bound to look beautiful in soft onesies in shades of lush grey, cream and navy. 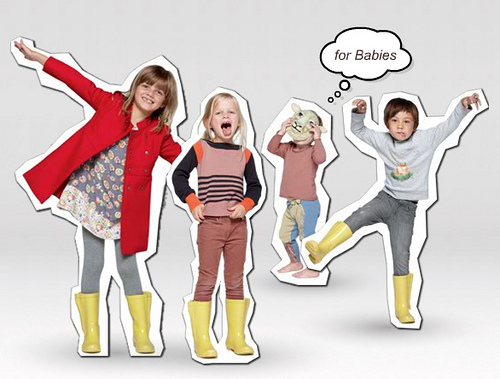 The word is that Stella designed the collection to be wearable in any play situation and affordable for parents, which is exciting news for those of us who like the kids to look awesome at a great price. The collection is due to be launched on 3 November in the States so we’ll update you with the news when it all happens. 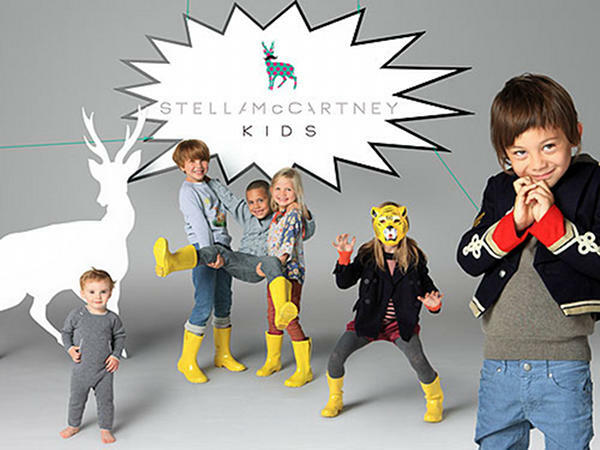 Make sure you watch the super-cute video at Stella McCartney Kids.